Just as many facets of construction have improved over the years, plumbing has also improved through the use of new materials for piping and drainage. The invention of plastics in the early 20th century has made it possible to create new parts in countless ways. Plastics have reduced production costs and increased the lifespan of construction materials such as piping and conduit. Many older homes have metal pipes installed for their plumbing. While you might think that metal would outlast plastic from a durability standpoint, this is not the case when it comes to running water and the effects it has on materials. Galvanized steel, copper, and cast iron. These are no longer used in new construction and have been replaced by several different types of plastics which I will discuss later in this article. Metal piping has many advantages, although we have shifted away from using them for cost as well as other reasons. Metal piping and conduit can withstand large temperature changes, high stress loads, and high pressure at their joints. For these reasons, metal pipes that were installed hundreds of years ago still are functioning in water fountains and various monuments to this day. Cast iron was used for vertical drains in homes and businesses prior to the 1960’s, and actually dates back to the 5th Century BC! It can be difficult to work with because of its weight, but is great for high-pressure water flow. Cast iron is also great for its ability to reduce noise. The density of the molecules in cast iron help to dampen the noise of water flow. For large systems with heavy water flows, the noise could be quite noticeable if it were flowing through a PVC pipe versus cast iron. Not to mention, I would feel much safer using a strong cast metal for high-pressure plumbing situations instead of plastic PVC. That being said, the cost would be four times greater. Probably the least attractive for its inherent properties, galvanized steel metal was used for home plumbing prior to the 1960’s when it was replaced by copper. Steel is relatively inexpensive to make, and is the cheaper of the metals used for plumbing. Though low-cost, steel is not a good choice in this application. Steel pipes will build up sediment over time, and eventually fully resist water from flowing through it. If you still have this type of plumbing in your home, you should probably call a company like A1 Plumbing Service to have your home re-piped. Copper pipe is commonly used for water supply lines because of its resistance to corrosion. While copper is a better option than cast iron or steel, it is even more costly. Copper piping can come in a rigid or flexible form. In addition to its attractive property of being highly malleable, copper can also withstand high temperatures, corrosion, and cracking. It has been popularly used in the plumbing industry for some time, just for these qualities. As the price of copper continues to increase, and the theft of copper becomes more prevalent, it will be even more expensive to use in plumbing. These two acronyms are different plastic pipes that are now widely used for plumbing taking a foothold in the early 1990’s. 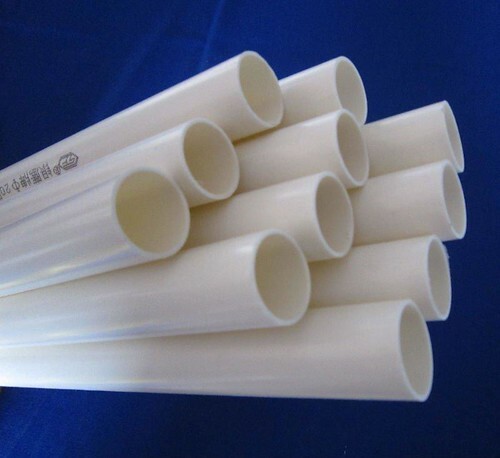 PVC or polyvinyl chloride is used for water supply lines to the home. It is used for high-pressure plumbing prior to the water needing to be heated, as it will warp if used for hot water. PVC can be easily cut and shaped for very specific implementations, and is extremely inexpensive. A stack of schedule 40 PVC could cost around $60 while a stack of cast iron could be around $170. 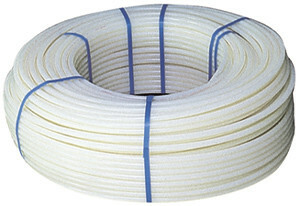 PEX stands for cross-linked polyethylene. This is the material that is being used most extensively today. This plastic is resistant to temperature changes and is now being used for interior plumbing in homes. Having all of the pros of plastic piping, PEX also has some of the characteristics that would make metal piping a more desirable choice. Plastic piping has taken over as the go-to material for plumbing in the last two decades. As safer and more durable plastics are created, it makes more sense to use them. They are very inexpensive to manufacture and much easier to work with. Plastic can easily be sized and cut on the job site, is much lighter making it easier to work with and cheaper to ship. The plumbing industry has had significant advancements over the past century and we are still creating revolutionary new forms of plastics for plumbing. Nick Quinlan is a professional student and amateur photographer who enjoys sharing the benefits of his travels and experience with others on the web through freelance writing and blogging.